Rabbi Tzvi Pesach Frank (1873-1960) is best known as the chief Ashkenazi Rabbi of Jerusalem. He was born and raised in Lithuania, where he studied at Slobodka and Telz, two of the world’s most prominent yeshivot before the war. After making aliyah, he became a part of the rabbinic establishment of the old yishuv, while also building a close connection with Rav Kook, becoming part of his circle of intimates along with Rabbi Tzvi Yehudah Kook, Rabbi Yaakov Moshe Charlap, and the Nazir, Rabbi David Cohen. He was instrumental in the Rav Kook’s appointment after World War I to the position he himself would later occupy, as well as in the development of the new Chief Rabbinate. He is also the author of numerous books in all areas of Torah, including his responsa Har Tzvi, from which this teshuva is taken. This teshuva addresses the question of whether a fruit-bearing tree may be cut down in order to use the area where the tree is growing to build a Sukkah. At issue is whether the biblical commandment not to destroy fruit-bearing trees (bal tashhit) applies even when the destruction of the tree serves some other good. Today, Tu Bishvat presents us with an especially poignant opportunity to consider how to balance the value of acting responsively with the environment with our other personal and religious needs. It should be noted that in the final paragraph, Rabbi Frank discusses a possible metaphysical danger that could result from cutting down such a tree even when permitted by halakha. This points to an understanding that some acts might be technically permitted, and yet violate ethical norms or responsibilities that we have vis-a-vis God’s creation. He also suggests that it is better to have a non-Jew cut down the tree in such a case to keep this danger from befalling a Jew, and preferring it to occur to a non-Jew instead. The attitude towards non-Jews embodied in this passage is disturbing, but it is of a piece with certain trends in Jewish thought which found great resonance in Rav Kook’s circle. We chose to include the passage in this translation so as to present this important Torah figure, even in this small context, in his full complexity. ע”ד השאלה במי שצריך למקום מסויים להעמיד שם סוכה, אי שרי לקצוץ אילן מאכל בשביל מקומו, והאילן עוד בשנות הערלה. הנה שני הדברים שנזכרו, שצריך בשביל מקום סוכה ושהוא אילן של ערלה, כל אחד בלבד יש לדון שיהא בו קולא בפני עצמו. ונקדים, שבלקצוץ עץ מאכל יש איסור משום לא תשחית עצה (דברים כ, יט). ומלבד האיסור יש בדבר גם משום סכנה כדאיתא בבבא קמא דאמר רבי חנינא לא מת שבחת בריה אלא מפני שקצץ תאנה בלא זמנה. ובנ”ד יש לדון שיהא שתי קולות לגבי האיסור של בל תשחית. אין קוצצין אילני מאכל וכו’ שנאמר לא תשחית עצה וכל הקוצץ לוקה ולא במצור בלבד אלא בכל מקום כל הקוצץ אילן מאכל דרך השחתה לוקה אבל קוצצים אותו אם היה מזיק אילנות אחרים או מפני שדמיו יקרים, לא אסרה תורה אלא דרך השחתה עכ”ל. וברא”ש ב”ק (פ”ח סימן טו) כתב שאם היה צריך למקומו מותר ובט”ז יו”ד (סימן קטז ס”ק ו) הביא דברי הרא”ש הנ”ל וכתב: ומזה התרתי לאחד שהיה לו קרקע עם אילנות לקוץ האילנות אעפ”י שיש בהם פירות כדי לבנות בית דירה עליה, עכ”ל. [ויעויין בתשובת בית יעקב (סימן קמ) שחולק על הט”ז ואוסר אף לצורך מקומו. וראייתו מתוס’ בבבא בתרא (דף כו ד”ה אנא) שהקשו על רב יוסף מדתנן במתניתין קוצץ ונותן דמיו ותירצו דאיכא לאוקמי באילן סרק. ומדלא תירצו תוס’ דמשנה דקוצץ ונותן דמים ההיתר משום דצריך למקומו, משמע דתוס’ לא ס”ל כהרא”ש. ובתשובות בשמים ראש (סימן שלד) כתב ואפשר דצריך למקומו לא מקרי דרך השחתה, משמע דמסתפק בזה]. ולדעת הט”ז לכאורה ה”ה דמותר לקצוץ את האילן אם צריך למקומו כדי לבנות במקומו סוכה. אמנם בשו”ת שאילת יעב”ץ (ח”א סימן עו) מבואר דתנאי יש בדבר שהבית מעולה בדמיו יותר מן האילן, ויעויין בשו”ת חת”ס יו”ד (סימן קב). ולפי”ז היה אפשר שבנ”ד גם צריך התנאי הזה שהסוכה תהא מעולה וכו’, וסוכה שהיא באופן זמני לא ברור אם מעולה בדמיה יותר מהאילן (ויעויין חות יאיר סימן קצה שלהרחיב חצרו לצורך טיול ותוספת אור וריוח בעלמא אסור). ויעויין בשו”ת חת”ס הנז’ בסוף התשובה שגם בצריך למקומו לבנות בתים אם אפשר למיעקר עם שרשיהן וקרקע גוש עפר עמהם שיכול לחיות ממנו ויכול לנוטעם במקום אחר אסור. אבל לעומת זאת עדיף סוכה יותר משום שמשחית לצורך מצוה והמשחית לצורך מצוה אין בו משום בל תשחית ויעוין בשלטי הגבורים (ע”ז פ”א) שכתב: המשחית לצורך מצוה אין בו משום בל תשחית שנדחה איסור זה מפני המצוה שהרי צוו חכמים לקרוע על המת, ובתוס’ ב”מ (דף לב ע”ב ד”ה מדברי) מבואר שאיסור בל תשחית נדחה מפני כבוד מלך ונשיא. אמנם מלשונם משמע שזה רק בתורת עשה דוחה לא תעשה, שהמצוה דוחה את האיסור, וא”כ זה רק במקום שאי אפשר לקיים את המצוה בלא האיסור. ובנ”ד אם אפשר לו לאכול בסוכה אחרת יתכן דלא שייך היתר זה. ויש גם לדון שבנ”ד לא הוי בעידנא (ראה בתשובה דלעיל). אולם בספר חסידים (סימן תתעט) לענין אם רוצה לגנוז דף מספר תורה משמע שאפילו משום הידור מצוה בלבד אינו עובר על בל תשחית. ולפי”ז משמע שההיתר בלצורך מצוה לא משום עשה דוחה ל”ת הוא אלא משום דלא הוי השחתה כלל כשהוא עושה לצורך מצוה [דלצורך מצוה הוי כמשחית על מנת לתקן דלא נקרא השחתה ולא גרע מקוצץ לצורך ריוח ממון דלא הוי דרך השחתה וקלקול אלא דרך תיקון…]. On the question of one who needs a certain space to build a Sukkah, and whether he is allowed to cut down a fruit tree for that place, in particular while the tree is still in its period of orlah. The two matters mentioned, namely that he needs the space to build the sukkah and that the tree is orlah, could each of their own accord be a basis for leniency. Let us begin by saying that cutting down a fruit tree runs into the prohibition of “thou shalt not destroy a tree” (Deut. 20:19). Aside from this, there is also the issue of danger, as we find in Bava Kamma where Rabbi Hanina says that his son Shivchat only died because he cut down a fig tree before its time. In our case, we need to consider how the two reasons for leniency – the need for the space to build the sukkah and the fact that the tree is orlah – fare against the prohibition against wonton destruction [bal tashhit]. One may not cut down fruit trees… as it is said “Thou shalt not destroy its (the city’s) trees,” and anyone who does so receives lashes. This does not apply only during a siege, it is true in any context. Any one who cuts down a fruit tree in a destructive fashion receives lashes. One may cut down such a tree when it is damaging other trees or because its [wood] is very valuable. The Torah only prohibited cutting down trees in a destructive fashion. Taz’s opinion would seem to imply that it is permitted to cut down a fruit tree if one has need of its space to build a Sukkah. However, in responsa She’elat Ya’avetz (1:76), the author explains that this allowance only applies to case where the house to be built in that space is more valuable than the tree. See also responsa of Hatam Sofer (YD 102). According to this, it might be that we should also require that the Sukkah be more valuable than the tree, and since the sukkah is a temporary structure, it is not clear whether this is the case. (Similarly, see Responsa Havvot Ya’ir, 195, who writes that it is not permitted to cut down a fruit tree merely to expand one’s courtyard to have more leisure space). See the above-noted teshuva of Hatam Sofer at the end where Hatam Sofer writes that even when one needs the space to build a house, if it is possible to remove the trees with their roots and surrounding soil, such that they can survive until replanting, [one is required to do so, and] it is forbidden to simply cut them down. Their choice of language implies, however, that this is permitted based on the principle that “a positive commandment pushes aside a negative one,” where the mitzvah pushes aside the prohibition. This would only apply, then, only in such a context where it is impossible to fulfill the mitzvah without transgressing the prohibition. In our case, if it is possible for him to eat in another sukkah, than this permissive ruling would not apply. And we also must consider whether in our case the doing of the mitzvah is considered to be taking place at the time that prohibition is being violated (which would be necessary if it were based on the principal of overriding). This is especially the case where some have written that even when the prohibition of bat tashit doesn’t applies, one should be careful out of a concern of sakanah, danger (i.e., that this will create a negative metaphysical force that will bring something bad upon the person) (see Responsa She’elat Ya’avetz 1:76, and Sefer Hassidim in the Will of Rabbi Yehudah He’hasid, in par. 45 and in the comments of Maharsham in the edition of Rabbi Reuven Margolies, to the effect that even when one needs the space or the like, which is permitted from a halakhic point of view, there is still a concern of danger). In my opinion one should therefore have the tree cut down by a non-Jew, saying explicitly that one does not wish this to be done through one’s agency. The concern of danger would thus fall on the head of the non-Jew. A righteous man will be saved from trouble and another shall come in his place (Prov. 11:8, see Bava Metzia 60b). 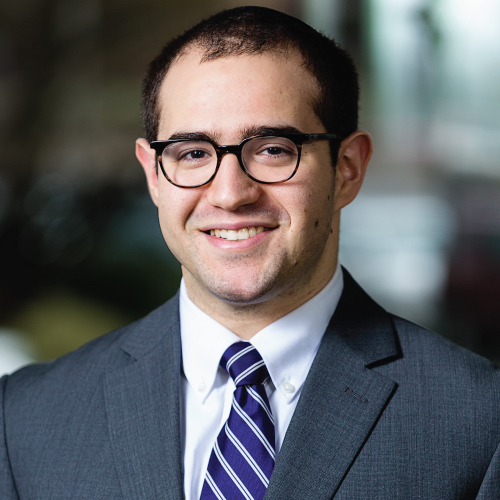 Rabbi Avram Schwartz learned at Yeshivat Hahesder Yerucham in Israel and received semikha from Yeshivat Chovevei Torah Rabbinical School in 2017. He and his wife Britany live in Richmond, VA.